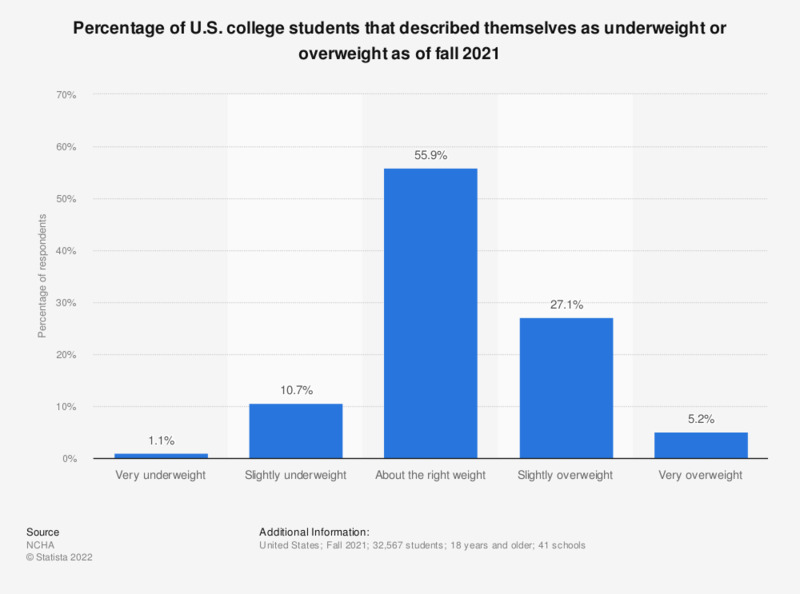 This statistic shows how college students in the U.S. described their weight as of 2018. It was found that 52.7 percent of college students described themselves as about the right weight, while 31.4 percent said they were slightly overweight. Original question: "How would you describe your weight?"